Our garage door maintenance services include all forms of minor repair, lubrication at key joints and a full check up on all core components. If you have a door that you’ve used for years without any professional attention, we can help ensure it is kept in prime condition. Has your door completely broken or become too hard to use? We have the expertise to get it working again just like new. 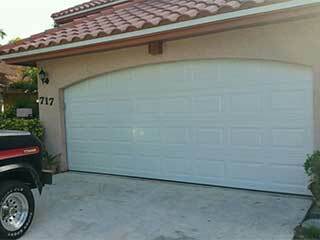 We repair all types of doors and opener devices. Whatever problem is causing your malfunction, we’ll be able to identify exactly what it is and provide the parts and techniques necessary to have your door working flawlessly. Spring repair is an essential task that we help customers with. Garage door springs are vital and can snap if they are left to degrade for too long. They are very dangerous pieces of equipment to work with, but our technicians know exactly how to remove and replace them as safely as possible. Cables and rollers can also become deformed over time. We can replace cables safely with brand new ones and provide rollers that improve your door’s movement and ease of use. If you have a panel door that has sustained damage, we can replace the broken panels and save you the trouble of having to replace the entire door! Our technicians focus on serving customers within our local area. This means we can maintain a great level of responsiveness, keep our rates low and provide customers with excellent service when needed! If you think you could use some professional garage door maintenance, get in touch with our team now to make an appointment that suits you! We’ll aim to have your door functioning perfectly right away. Contact us now for more help!